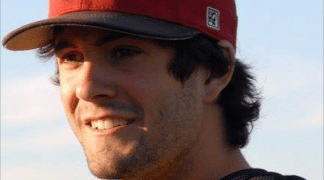 A baseball player from East Central University was out for a jog in Duncan the night of August 16 when he was fatally wounded by a gunshot to the back. Police have arrested three local teens who, according to police, were bored so they decided to kill someone. Christopher Lane, 22, who was in the town of Duncan visiting his girlfriend, decided to go out for a jog, during which he passed the house where the three boys were staying. The three boys then got into a car, followed him for a few blocks and then shot him once in the back with a .22-caliber handgun, according to local authorities. Witnesses rushed outside upon hearing the gunshot and recall seeing Lane stagger and collapse to the ground. Despite CPR attempts, Lane died on the scene, due to the bullet collapsing both lungs, fracturing two ribs and tearing through his aorta and pulmonary artery. The three teens, all from Duncan, have been taken into custody since the incident. Chancey Allen Luna, 16, and James Francis Edwards, Jr., 15, have been charged as adults with first-degree murder. Michael Dewayne Jones, 17, was charged with using a vehicle in the discharge of a weapon and with accessory to first-degree murder. Jones is considered a youthful offender but will be tried in an adult court. Police Chief Danny Ford interrogated Jones, who provided a detailed confession. Lane, who was originally from Melbourne, Australia, had come to Oklahoma to play college baseball and pursue an education. Before arriving at East Central, Lane attended Redlands Community College in El Reno, where he earned his Associate’s Degree in Business Administration. Even though Lane was receiving a baseball scholarship, his main goals were to receive a degree in finance and to start a real estate business with his parents, according to ECU Athletic Director Dr. Jeff Williams. Lane’s family has received an enormous outpour of support from those who knew Chris, as well as complete strangers who just want to try and provide some comfort to those who were closest to him. There is currently an online fundraiser, set up by a former teammate of Lane’s, which was created in order to raise money to allow his family to fly to Oklahoma, receive his body and take him back to his hometown. With the original goal set at $15,000, the fundraiser raised $171,881 as of Friday afternoon. According to Lane’s father, Peter Lane, all money left over will go toward the creation of a Christopher Lane Foundation in his memory. If anyone would like to make a donation to the fund, it is listed under the name “Christopher Lane Fund” at www.gofundme.com. The information in this article was found at www.ecutiger.com/news and cbsnews.com.